Content creation is a staple of digital marketing, e-commerce, search engine optimization and just about every other element of brand management. All too many brands find themselves in direct competition with countless entities that seek to outrank them in search and outperform them in digital marketing. This dynamic can lead to some pretty creative efforts by brands to reach as many people as possible through as many mediums as possible. One of those examples is clickbait, which can be found absolutely everywhere in social media news feeds and beyond. What is clickbait, and why do brands resort to using it? We’ll discuss this phenomenon below so that you can weigh your options. Most people have heard the term “clickbait” at least once in their lives by now, and even those who don’t know the term likely recognize its style. Clickbait is based around pinging users with content of a sensational or otherwise exciting nature, which captures readers’ attention spans and pulls them in to find out more. Websites such as Upworthy are famous for this style of content. You’ve no doubt seen posts and articles on social media with titles like “Her PageRank Suddenly Took a Dive: You Won’t Believe What Happens Next”. You may have even made a joke in the past about these corny yet effective types of titles that seem to be shared on social media by everyone. As tacky as clickbait may be, brands are deciding to use it for a reason. Perhaps the most notable benefit of clickbait is the increase in clicks. This phenomenon has been observed not only on websites and blogs via organic visits, but on social media, through email marketing efforts, via CPC advertising and even organic search results. In many cases, clickbait can increase conversion and clickthrough rates by two to three fold. Despite the collective sigh that can be heard from the world of credible bloggers and journalists, clickbait works. Very few brands can afford to pass up strategies that result in meaningful increases in visitors and readers. There are many unique elements in the creation of clickbait that are used to comprise quality content, several of which have significant overlap with existing endeavors of many brands. Building brand loyalty through personal stories and appeals to readers’ emotions can sometimes be difficult when directly promoting the brand. This is why so many brands attempt to humanize their web presence and craft an image that resonates with readers. 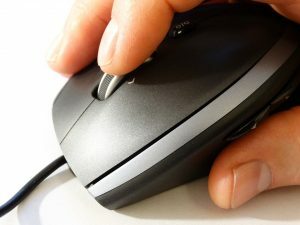 Clickbait can be used to narrate a personal story, appeal to emotion and otherwise connect with readers in a casual yet meaningful way. With the right focus and dedication, anyone can start pinging users with custom clickbait and do so in legitimate ways that appeal to readers and maintain a quality of journalism that readers expect. Likewise, it can be very easy to create clickbait that is merely designed to get more clicks for your brand’s content. Whichever strategy you choose, always be sure to deliver what the audience wants and listen to their desires accordingly.